Whether it’s a cute character 1900s cottage, a not-so-cute 1980s villa or anything in-between, there are definitely a lot of you guys who are buying older homes and doing them up. But when it comes to painting these houses, we don’t always want to re-paint them in the colours that were fashionable in the era the house was built. And why would you? I’m definitely not a fan of the gentle apricot and beige everything that was popular in the 90s. And I would find it hard to live with the heavy Brunswick greens and dark maroons that were popular in Victorian times. Or, as we uncovered personally while slowly taking apart the layers of our Crap Shack, that not-so-appetising guacamole-green-brown that was popular in the 1970s. Yuck. Warm light grey paint adds to the timeless appeal of this Palmyra cottage. Photo by Red Images Fine Photography. So after a few House Nerds emailed me to ask if I could do a story with tips for choosing MODERN paint colours that suit older homes, I thought I would do exactly that. Today I chat to colour expert and Bauwerk Creative Director Bronwyn Riedel, who knows everything about choosing the right colours for your interiors, to get her tips. AND we have a giveaway! You can win a Bauwerk prize pack including 4L of lime paint valued at $88, a natural fibre brush valued at $22 and a Bauwerk email colour consultation to get just the right colour for you. Enter at the end of this post. 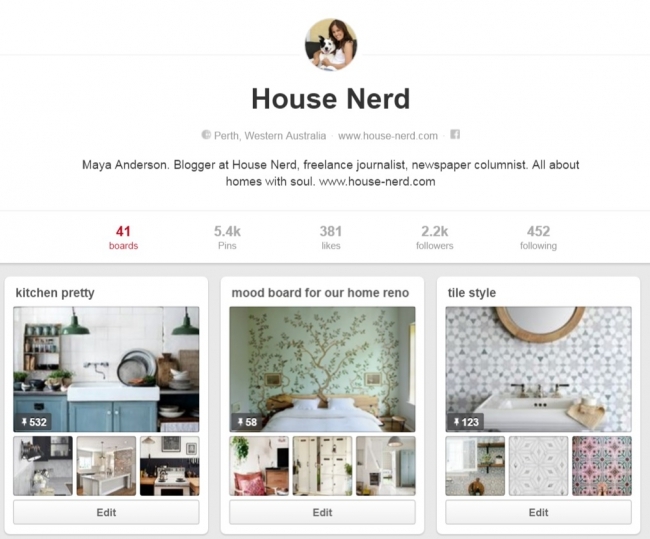 Pinterest is a fantastic tool for visually curating colours and images you love. Every time we start a new room or project in our house, I pin ideas and things that I like to get a rough feel for a space before we start. But with hundreds of shades on the market, a common dilemma for the modern home owner - myself included - is choosing the perfect white. 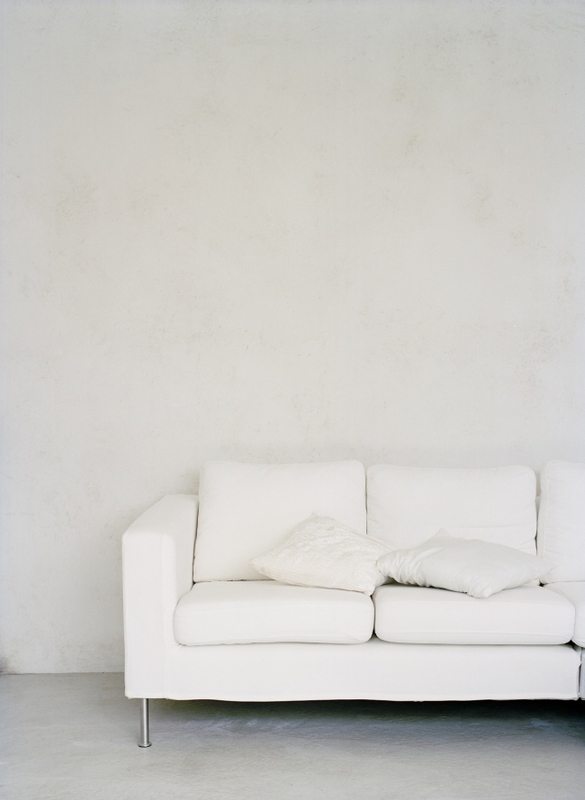 Bronwyn says the difficult thing with whites is the underlying colours that reflect once they are on the wall. “That little chip you saw at the hardware store just doesn’t look the same,” she says. For example, the colour of your flooring can change the look of the white once it’s on your wall.” Many old Australian character homes feature jarrah floorboards, the glossy reddish hue of which can ‘bounce’ onto your walls, making some whites look reddish-pink. Meanwhile, blackbutt flooring has golden undertones that will also bounce onto your walls. LIGHT AND WHITE: White walls in this 1920s Watermans Bay rental home given a makeover by interior designer Nelly Reffet. Photo by Red Images Fine Photography. ABOVE: White looks beautiful in this 1960s character home in Hilton, letting the polished jarrah floorboards and ceiling details be the stars. Photo Red Images Fine Photography. 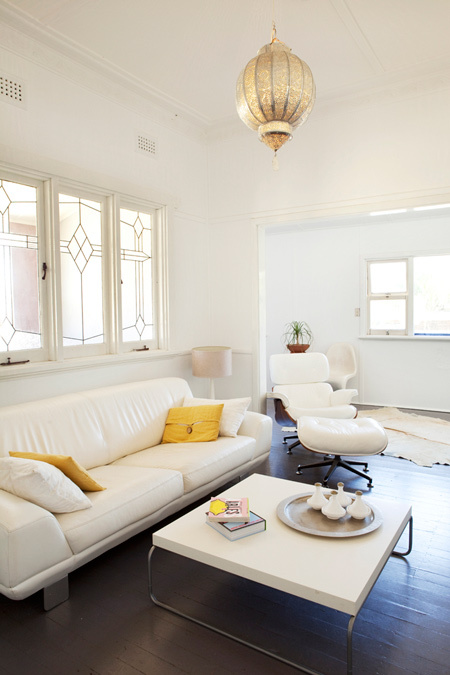 This 1903 worker's cottage in West Leederville features white walls through the living area. Photo by Red Images Fine Photography. 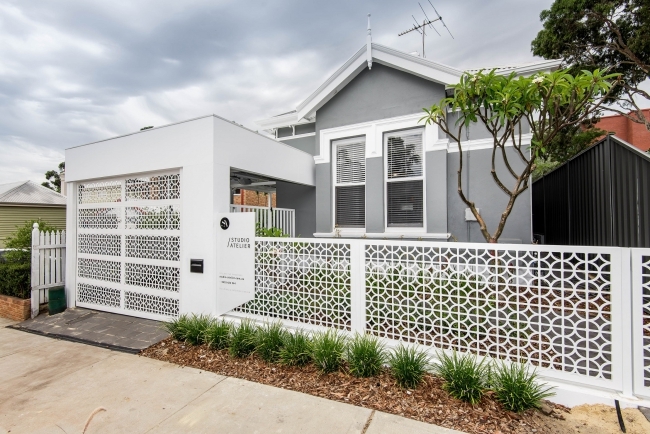 After a white for a classic character home? 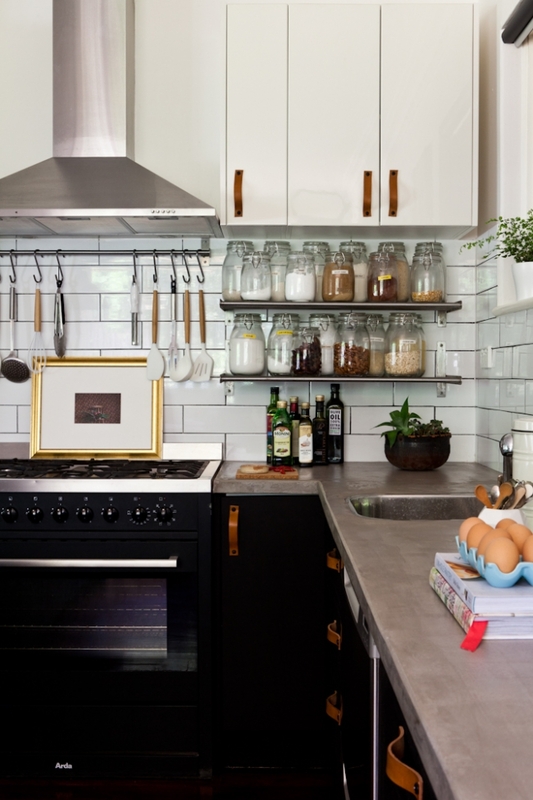 “Bauwerk Eggshell is a perfect white for classic heritage character homes, because it is just a little bit warm,” says Bronwyn. As a general guide, cool whites are well-suited for open-plan living spaces and rooms with lots of natural light, and give a great timeless feel, while warmer whites are ideal for smaller rooms that don’t have a lot of natural light, such as bedrooms or studies, by giving them a cosy or warm feeling. Jarrah floors? Bauwerk Whitewash will work beautifully, like in this example below of stylist Meghan Plowman’s 1940s character home (you can see her Bauwerk Whitewash transformation here). Styling and photo by Meghan Plowman. “Generally I would say warmer whites suit more traditional homes and cooler whites match in with modern homes,” says Elements at Home blogger and interior designer Kristie Castagna. “But - and this is the hard part - I think it’s also about the style the owner wants to achieve versus the amount of natural light.” For example if you have a Californian bungalow with lots of natural light, Kristie recommends keeping in the realm of a warm white. For an older home without much natural light, she suggests going for a colour rather than a cool or warm white, which can run the risk of looking stark. WARM GREY WEATHERBOARD: I LOVE grey for exteriors - particularly weatherboard cottages like this one. 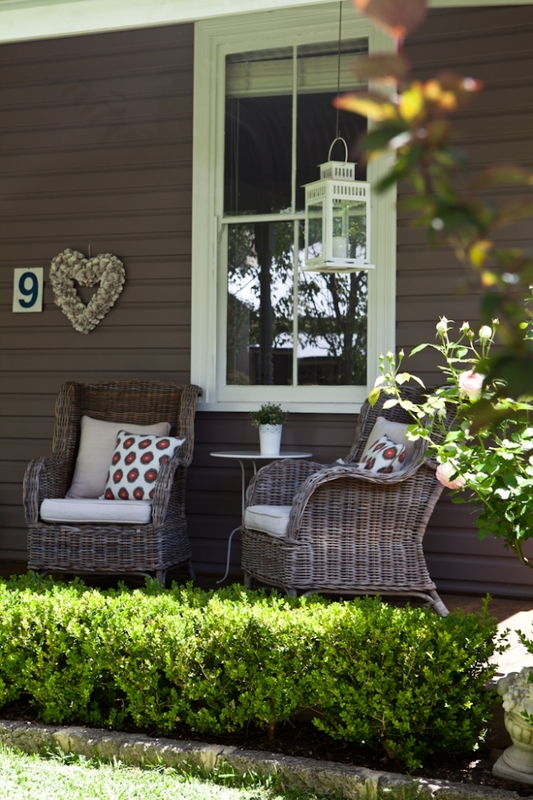 Owners Katie and Ben Stanwix painted their little Palmyra cottage in Dulux Australia Beige Royale, done at twice the strength because their exterior gets so much light. Photo by Red Images Fine Photography. Part of grey’s popularity is that it suits a huge variety of homes – and it looks really wonderful in older homes such as those from the 1910s, 20s, 30s and 40s; highlighting lovely high ceilings and period details like picture lines and fireplaces without detracting from them. Grey is also a nice pick for homes built more recently, says Bronwyn. “Bauwerk Oyster is a beautiful warm grey that is perfect if you want to modernise a dated 70s home with a lovely neutral tone but not resort to white,” she says. Looking to go darker grey? “Bauwerk Slate is a gorgeous rich grey perfect for creating a cosy feel in bedrooms or lounges,” says Bronwyn. 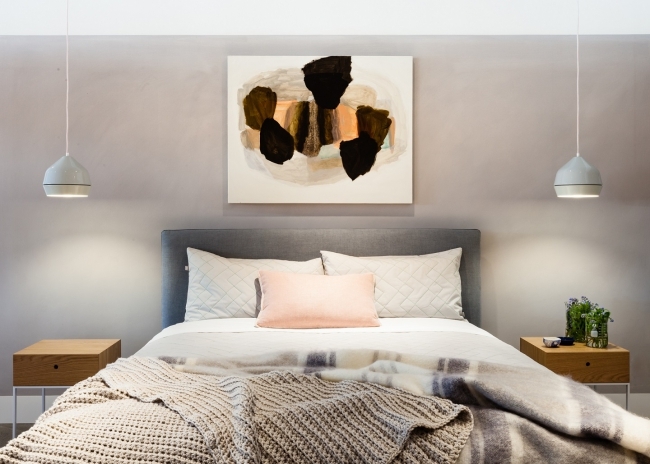 WARM GREY: Not an old house, but this bedroom set-up at the Jardan showroom demonstrates the warmth grey can add to a bedroom. Paint by Bauwerk, photo by James Geer. A paint trend that I really love is that these days we are being really bold with the richest, darkest colours on our walls, like the gorgeous room below with Bauwerk Squid Ink walls. A while ago we painted our house’s entry black and I still really love it. Bronwyn is also a fan of dark inky shades. “Inky colours are so beautifully moody and look wonderful with any colour,” she says. You might think you need abundant natural light to pull off a really dark paint in a big room, but the good news is that’s not true – a dark paint can look equally good in a small room with little light, making it cosy and giving it punch. A dark colour can blur a room’s boundaries so they appear to recede, which can actually make a small space appear bigger. Beautiful mirrors are a nice way of adding an expensive-looking touch to a dark wall plus they’ll bounce the light around and increase the illusion of space. 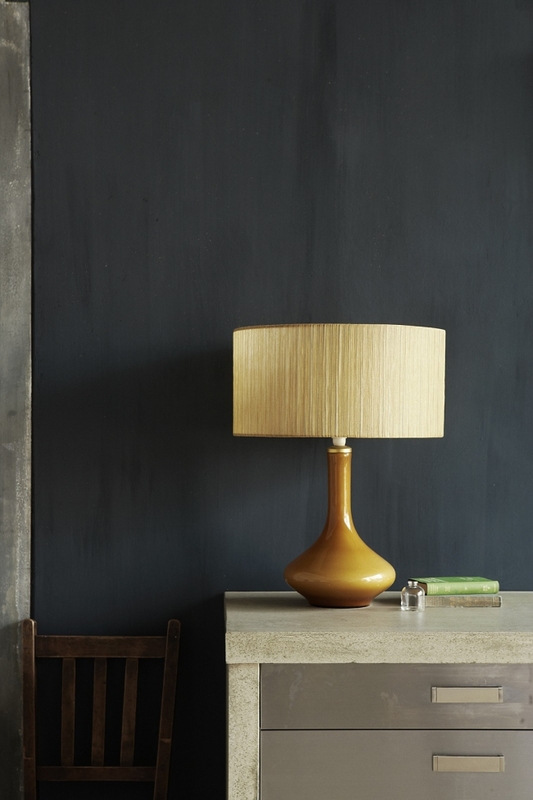 DARK AND DRAMATIC: This beautiful lime paint is Bauwerk Squid Ink. CHARCOAL WALLS: This East Perth apartment is one of many in an apartment complex designed by Krantz & Sheldon in the 1960s. 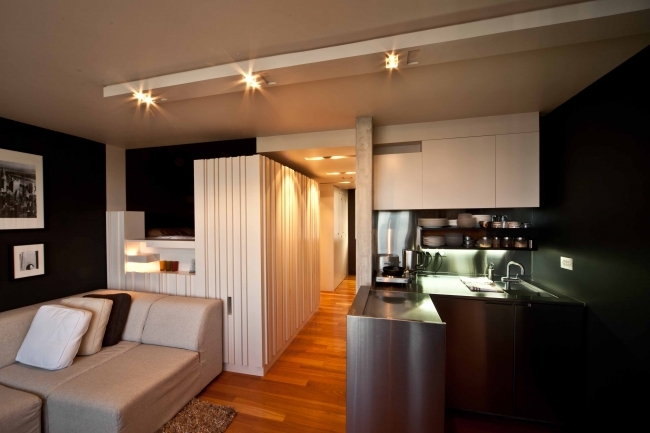 At just 36sqm in floor size, not many people would have been so bold to choose such a dark wall colour for such a small space, but architect Anthony Hines did. the deep colour actually gives the walls the illusion of receding, making the space seem larger – and more sophisticated. “The apartment was actually going to be light-coloured,” says Anthony, who painted the whole place white before deciding to go dark. 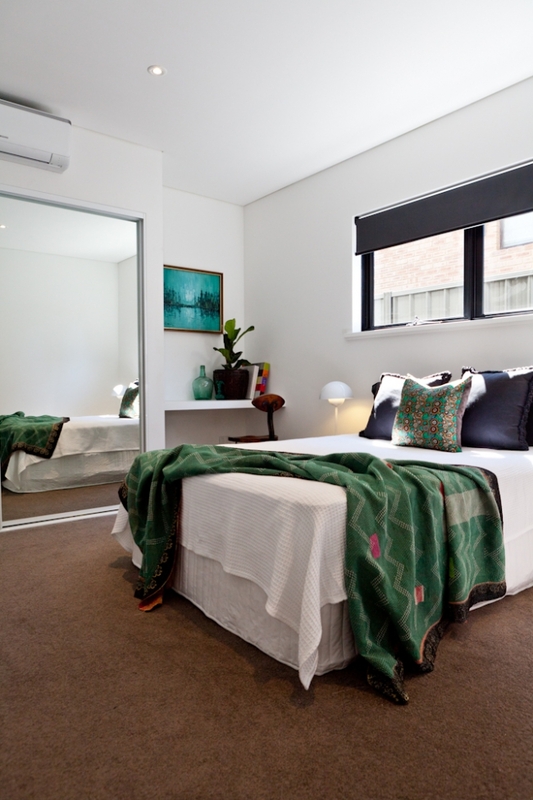 “The dark colour scheme blurs the walls.” You can see the whole makeover here. Photo by Nutkin Images. 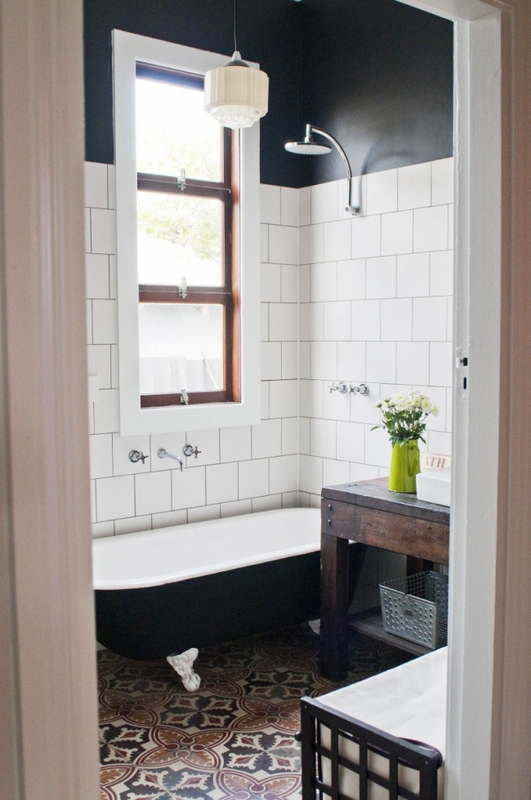 Black walls add impact to this beautiful bathroom in the home of Etica Studio owner and designer Carla Karsakis. Photo by Meghan Plowman. I know there are many people who cry murder at the thought of painting wood. I, for one, am all for it if it’s not a prized vintage or heritage piece or feature. A big trend right now is to use paint as a way to refresh what you already have, rather than gutting the old and buying or starting anew. A lick of paint can transform an old, dark timber kitchen that you want to visually lighten up, modernise pine-panelled walls that have gone orange with age or transform a piece of furniture that could do with a bit of love. I love that we are thinking of painting old kitchen cupboards and bathroom vanities rather than turfing out the old. It’s frugal and it means less waste. Bronwyn says along with white, pastels are very popular at the moment especially mint, pale blue and dusky pink. These soft shades often work really well in character and mid-century homes. 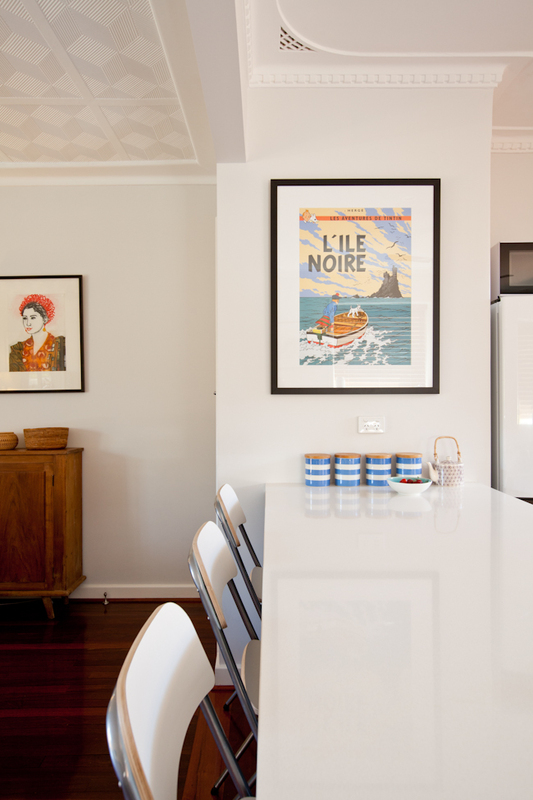 FROM BLAH TO BLACK: Interior designer Hayley Gemma painted her ordinary kitchen cabinets black and swapped the handles for leather pulls to give her country kitchen a contemporary update without breaking the bank. Photo by Red Images Fine Photography. We’ve gone fairly neutral with interior colours on our older homes in the past decade – and it works beautifully with our landscape and bright Australian sun. 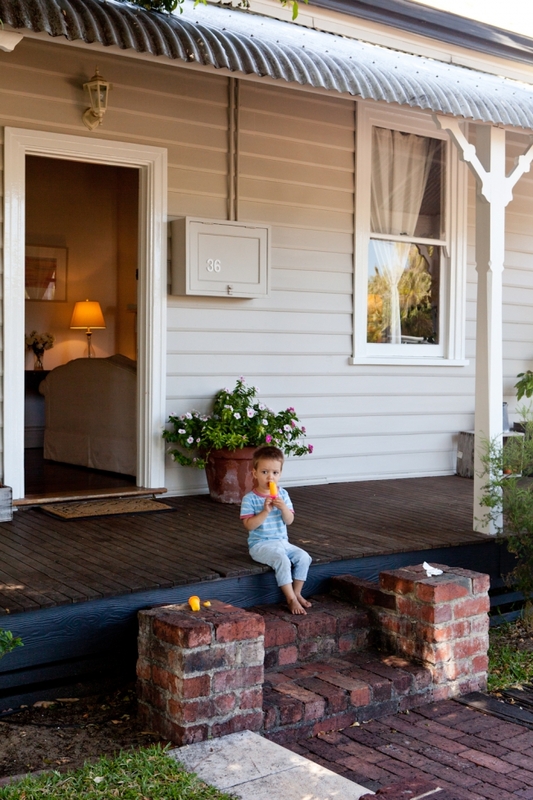 You guys probably already know how I feel about dark, dark exteriors, like the darkest blue-grey walls and black-painted weatherboard cottages – I love them. A lick of black paint can not only disguise some less-than-desirable features, but it can take many an older house from daggy to modern. One of Bauwerk’s newest, darkest colours is called Obisidian and it is a lovely pick for render or bricks, outside or inside. 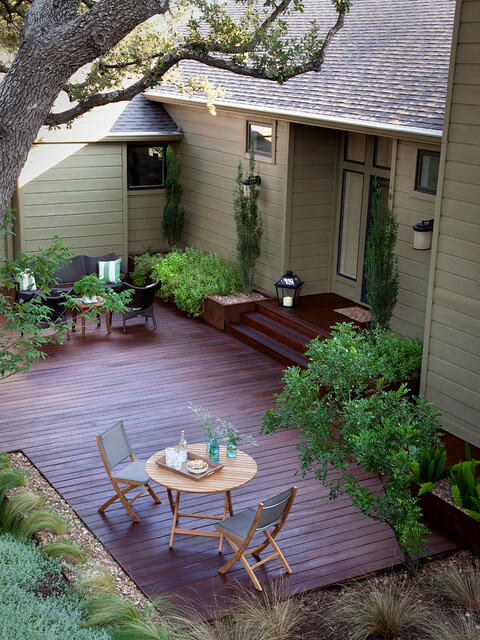 Grey exteriors are still on-trend and we are seeing a LOT of grey exteriors in all shades. I love this look - as you can probably tell by the number of grey houses on House Nerd! It's modern yet timeless and tasteful. 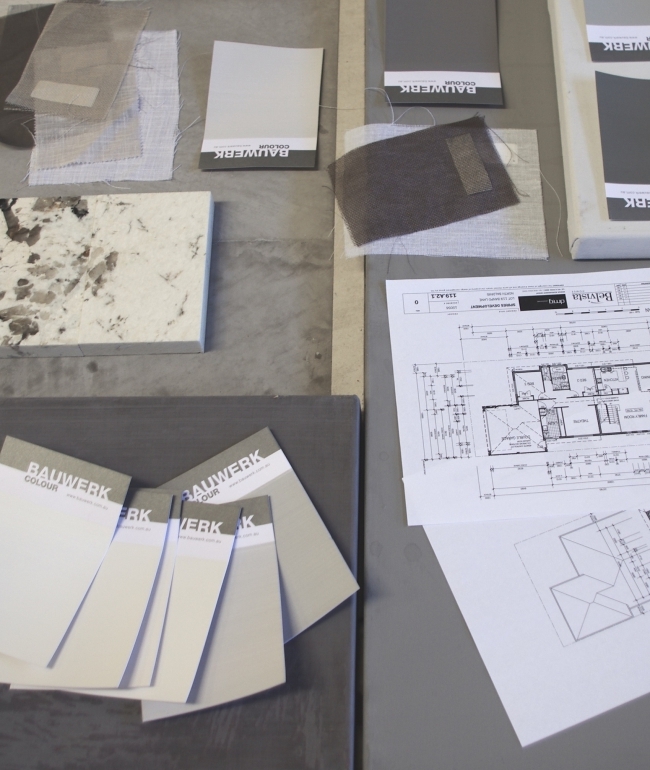 Bronwyn says while grey is still a very popular colour choice for our elevations, as with all fashions we will eventually start to see a shift. “I don’t think the popularity of grey will change soon for interiors, but I think for exteriors white is what we see next,” she says. 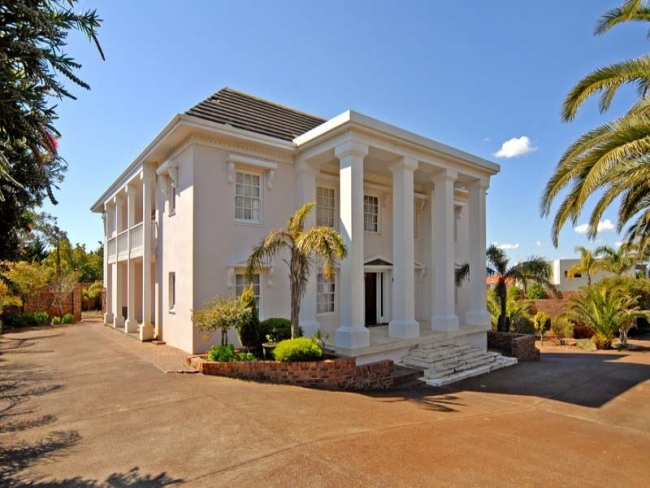 BEFORE: This 1970s Georgian-style mansion renovation in Wembley Downs (I featured it here) had light pink walls that desperately needed a repaint. AFTER: It now looks much nicer with grey walls, which draw attention to the detailing. 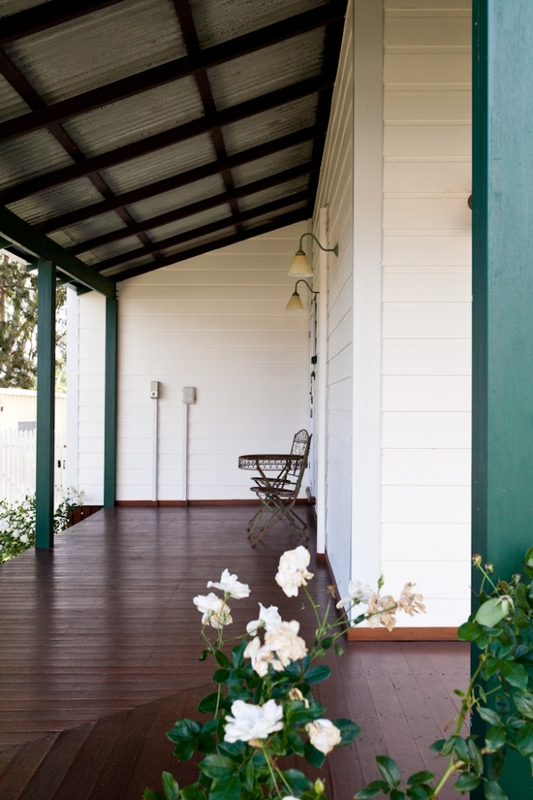 This weatherboard cottage is given a modern touch with a lick of beautiful light olive-green. Source unknown. 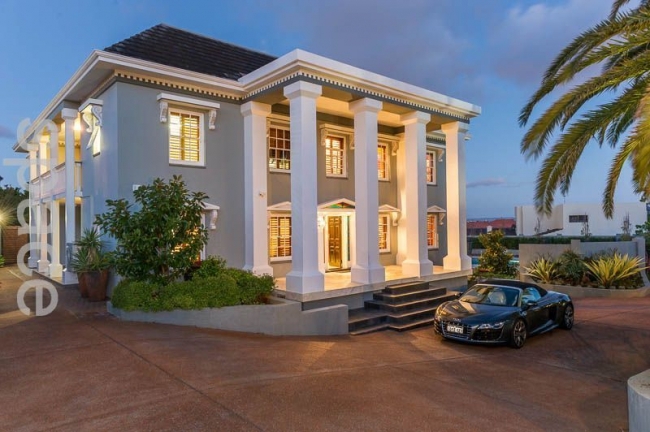 CLASSIC: A rich taupe looks gorgeous on this Shenton Park cottage. Full home tour here. Photo by Red Images Fine Photography. ABOVE: White walls to this 1900s Hamilton Hill cottage. Photo by Red Images Fine Photography. Recently Mr Nerd, Little Nerd and I visited family who live in seaside country NSW by Berry. Oh my goodness, the houses we saw in country and coastal NSW were just beautiful - and one of the things we noticed – and really liked – about them was the prevalence of exteriors painted the most beautiful gentle blues, grey-greens and duck egg blues - many more than you see here in WA. Bronwyn is also a fan. “I love those duck egg blues - they are great in any room on the south side of the house,” she says. “They are very relaxing, soothing colours especially for bedrooms and they look wonderful with crisp white woodwork and ceilings. They look great in the older Federation-style houses as they are modern but work in an older house.” Calming greens can also be a great choice for character interiors. 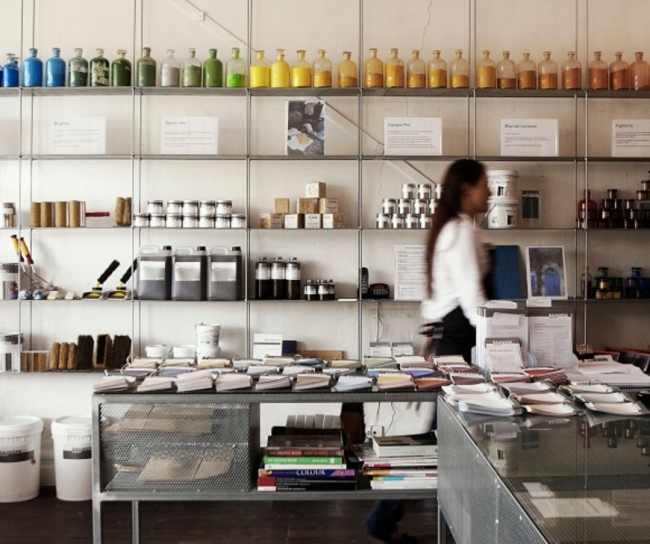 From small beginnings making all-natural paint right here in Fremantle, Bauwerk Creative Director Bronwyn Riedel now runs a hugely successful company that sells paint worldwide. 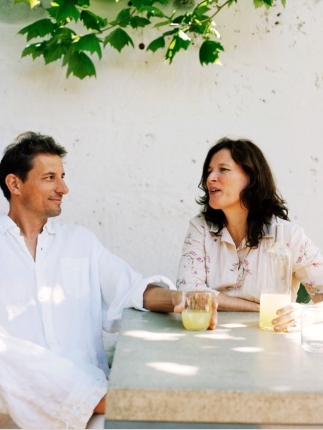 After working as a textile designer and decorative artist, Bronwyn started Bauwerk in 2000 with her husband Andreas, who brought his own experience working in construction to the company. From their small beginnings in Fremantle, (where Bronwyn has lived for 25 years) they have since spread to the Middle East and Europe. She now travels extensively between Bauwerk bases, but still loves to be in the Fremantle store. “My eldest son Levi now manages that store and my stepdaughter is currently opening a store in Munich,” she says. ABOVE LEFT: Bronwyn with husband Andreas. ABOVE RIGHT: Their German castle and 'love project'. The neglected structure had not been a home for more than 70 years when Bronwyn and her family bought it. Bronwyn was sitting in her office in Australia on a Saturday morning, daydreaming about living in Europe when she spotted the property online and knew they had to have it. "It was love at first sight," she says. She is definitely a House Nerd! ABOVE: Bronwyn and Andreas' German castle, which they are restoring one step at a time. In the garden is Europe's largest plane tree. Photo by Bronwyn Riedel. Bronwyn says one of her favourite things to do every year is to spend time at their house in Germany, where the family spends time together and works on ideas for the company. “Seven years ago we bought an old unloved schloss,” she says. 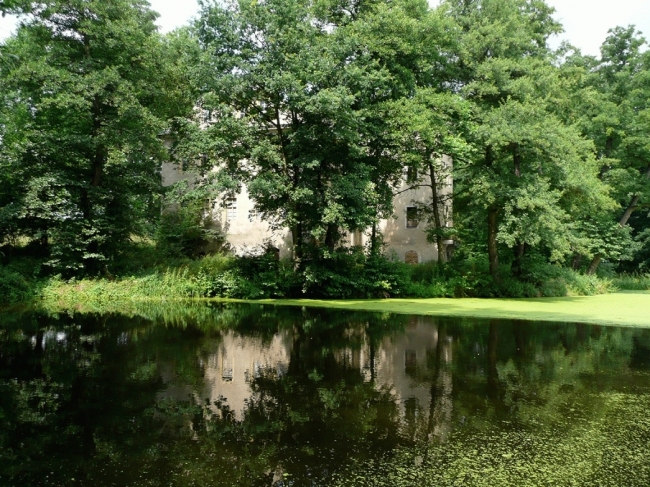 (Schloss is German for castle or manor house). "We come here every European summer to spend time creating, brainstorming and enjoying time with friends and family.” You can see all the beautiful colours in Bauwerk’s range by visiting their website here. You can WIN a Bauwerk prize pack that includes 4L of beautiful lime paint valued at $88, a natural fibre brush valued at $22 and a Bauwerk email colour consultation to get professional advice on finding just the right colour for you. To enter, just leave a comment your full name and just tell us what colours for the home you are loving at the moment - or which ones you've used. (I once painted the study in my 1970s home a sort of lipstick pink, thinking it would fill me with energy, then almost immediately regretted it – it’s now a beautiful grey-white). 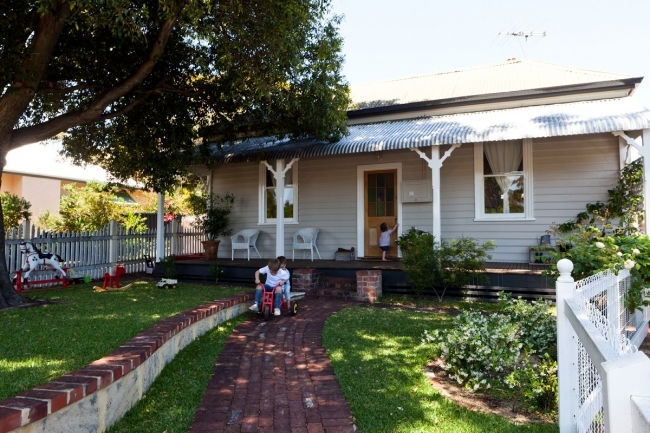 Ive just bought a weatherboard and fibro cottage in South Fremantle that I am about to paint . I was thinking of Ironstone too, with Shale Grey. Sounds cute! My house is less 'cottage' and more 'crap shack', like Maya's. We used Surfmist for the trims, which reads as white next to the dark grey-blue. Love love LOVE Bauwerk paint. My current favs are their greys and robin egg blues. Our house is 90's beige (and not in a good way), we'd love to update all our walls with crisp whites but I get so overwhelmed with all the options. I love the Bauwerk options and would love to fill our walls with their paint! I'm loving greys for inside and out! We painted our house white when we moved in hoping for light and bright but it feels more blue especially with the jarrah floor - would love to win just to get the warmth right. I'm not sure we can have many more paint swatches on our walls ???? This article was great and so timely. We've just bought a 60's home that was renovated in the early 2000's. It needs some TLC and I'd love to learn more about the paint colours I could use to bring it into the modern times while acknowledging its original era. I think from this article that a whitewash might work well with the jarrah floorboards. I also love blacks and dark greys to create some mood. I'm currently choosing colours for the exterior of my 1950's fibro in the eastern suburbs. I was pretty sold on Dulux Silkwort until I saw Bauwerk's Milkweed - divine! I love white! We moved into our first home just shy of two years ago, and have been wanting to paint the interior walls and trim white, but there's so much sanding that needs to be done and we're so scared we're going to do a terrible job! I lived in an all white apartment in a cold grey city and would never do it again - so chilly, even when it was warm outside! Now that I'm back in Perth, my bedroom needs some SERIOUS attention. Please help me! I am a little obsessed with almost black reals like Woad right now. I am also at a loss about what to do to the outside of my 60s exterior ... someone save me from the peach. After your article on the whitewashed 1940s home I was inspired to paint our interior walls white and a bedroom a light grey. I'm still to tackle the living room because removing the suede effect paint that is currently there is going to be a pain but also because I'm toying with the idea of going something bold and dark there! Might have to check out that squid ink colour! Love this post! And I LOVE Bauwerk as company, such a good ethos. I used the pretty Palmyra cottage as inspiration to repaint my 1954 weatherboard cottage, beige royal and natural white (over the delightfully dated mustard). Thank you! My 50's house in Bassendean was originally painted a smokey pink/salmon throughout the living and kitchen area. The bedrooms were purple and yellow..even the bathroom was sunny yellow which always resembled a circus to me!! We painted the entire inside white to cleanse our house and now i'm wanting more contrast, my favourite decorating colours are dark grey, green and beige. I haven't heard of Bauwerk before but the lime wash looks awesome. I have a small business painting furniture and now my minds going into over-drive with what other styles of paint you can apply to wood! Joy! Pick me! Love this post!! Trying to figure out what to paint our house exterior (next summer...) it's currently mint green and as its a hundred yer old weatherboard I don't want to completely change it. Loving that light olive-green unknown source colour but maybe a bit darker... Thanks Maya! Greys and whites all the way! They work with my love for light, modern Scandinavian style furniture. Love this post, so many inspiring colours and images - thank you. I've been watching Jane the Virgin recently, and the sets on that show have reignited my Passion de la Santos... I mean, passion for bold, saturated colour. I'm itching to paint some of the main areas of the house in blues and/or greens, although I can't decide between deep, rich shades or softer ones. So many choices!!! Hi Maya, we are thinking of either nigella or squid ink for a feature wall in a room we are currently renovating. Once we decide we will be down to freo to shop for some paint ???? Loved your Insta pic of Etica Studio's new house! Can't wait to see the home tour. My favourite colors at the moment are anything in the grey/whites realm. Mixed with beautiful chocolate leathers in furnishings and lots of indoor greenery. Great article and exciting competition! We have a little 1940s worker's cottage in Bassendean, that we plan to renovate and extend once we're done having babies (baby number 2 due in six days - I think that's it for now...). 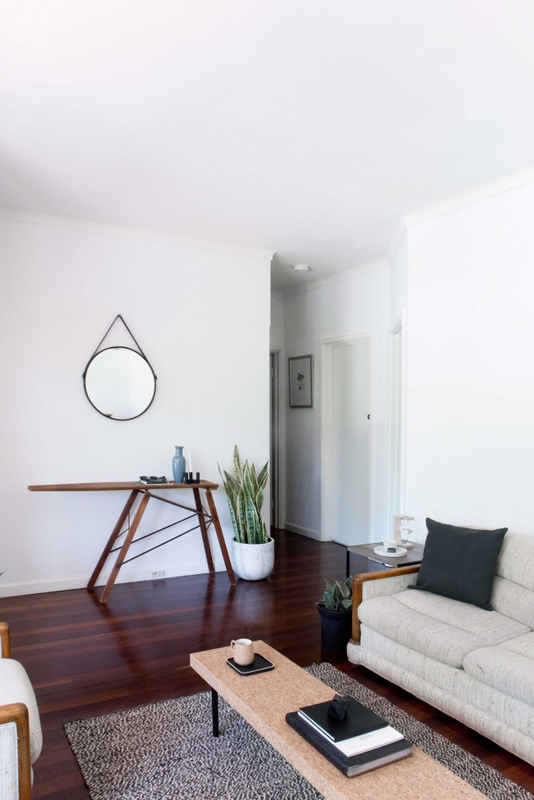 We have high ceilings and jarrah floors, and not a great deal of natural light in the living areas, so I would love some advice on the kinds of paint colours that would compliment these elements. Also, we have original mint green enamel sinks and bath, which we love and would like to retain, so that needs to be considered too, in terms of colour choices. At the moment the walls are a very light, mushroom grey - almost lavender - that can look a bit dirty in certain lights. I think everything needs to be freshened up, including skirting boards and ceilings. As for the exterior, I do love the look of grey with white trim, but would be willing to try something a bit different! Oh wow! Thanks Bronwyn! Very exciting. Yes, baby Esme has well and truly arrived, so as soon as I can get myself dressed and tidy the house up a bit, I will email you with pics of our little house. Thanks again! Looking forward to it !!!!! We have a 1976 original house. I live the Orange, yellow and mustard of that era but have no idea how to incorporate in our home tastefully but still with a bit of bad 70s taste! My 1950's home is in great need of a new paint job. It is currently a dated tan and blue but I am keen to go with a grey white scheme. Would love to get some help to choose just the right grey to get the best look. This article Is just what we needed! We are just about to start renovating an 80s home, which will be our first home :) I would love some advice on how to incorporate modern colours into the existing home. I love the gray and White combo! Thanks for this article. Our home is cream brick and mission brown exterior and yellow intetior walls. We've began the prep work...sanding and more sanding. We've purchased countless sample pots but cannot decide on colours as nothing looks quiet right. Great article, full of helpful tips! I like the olive green and also the rich taupe. Fabulous article, I think I need to head to Freo! The old 1918 Lodge we just purchased needs the perfect white and think Bauwerk might be my answer for updating all the timber here. We have just extended our 1930's Californian Bungalow with a sympathetic but modern addition. Have gone with a light grey pallete and adore it. Next job is to revive the original part of the house keeping the same colours throughout. Bedrooms I'd love something different though... Just can't decide what at this stage. Loving warm greys and deep blues. Thinking about repainting our beige 90s house so this has been a great article!